1. Selmagique.com and all works of art contained in Selmagique.com (the “Art”) are maintained for your personal entertainment and information. No material or Art from Selmagique.com may be copied, reproduced, republished, uploaded, posted, transmitted, or distributed in any way, except that you may download one copy of the materials on any single computer for your personal, non-commercial home use only, provided you keep intact all copyright and other proprietary notices. Wallpaper downloads are the exception and may be downloaded and distributed freely, provided no modifications are made. Modification or use of the materials or Art for any other purpose is a violation of the copyright and other proprietary rights of Sel Magique Brands LLC and the artists who created the Art. You may not distribute, modify, transmit or use the content of Selmagique.com, including any and all Art, for public or commercial purposes without the express written permission of Sel Magique Brands LLC. 2. All Art, text, data and other materials contained in Selmagique.com are copyrighted unless otherwise noted and are the property of Sel Magique Brands LLC and/or third parties from whom Sel Magique Brands LLC licenses the materials. No such materials may be used except as provided in these Terms and Conditions. 3. All trade names, trademarks, and images and biographical information of people contained in Selmagique.com; including without limitation the Sel Magique name and logo, the “Elevate Your Everyday” trademark, “Hydrascent”, “La Margarita”, “Magique Margarita”, “Magique Mary”, “Berry Ambrosia Cocktail” as well as the dynamic “magic concentric linear device” are trademarks, and are either the property of, used with permission, or licensed by Sel Magique Brands LLC.The use of these materials by you is prohibited unless specifically permitted by these Terms and Conditions or specific permission provided elsewhere on Selmagique.com. Any unauthorized use of these materials may violate the copyright, trademark, and other proprietary rights of Sel Magique Brands LLC and/or third parties, as well as the laws of privacy and publicity, and other regulations and statutes. 4. 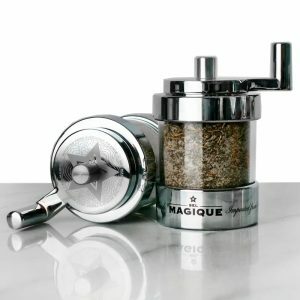 While the publishers of Selmagique.com use reasonable efforts to include accurate and up to date information in Selmagique.com, Sel Magique Brands LLC makes no warranties or representations as to its accuracy. 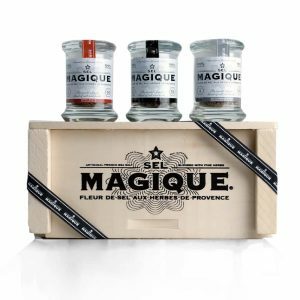 Sel Magique Brands LLC assumes no liability or responsibility for any errors or omissions in the content of Selmagique.com. 5. NEITHER THE OWNERS OF SELMAGIQUE.COM NOR ANY OTHER PARTY INVOLVED IN CREATING, PRODUCING, OR MAINTAINING SELMAGIQUE.COM SHALL BE LIABLE UNDER ANY CIRCUMSTANCES FOR ANY DIRECT, INCIDENTAL, CONSEQUENTIAL, INDIRECT, OR PUNITIVE DAMAGES ARISING OUT OF YOUR ACCESS TO OR USE OF SELMAGIQUE.COM. WITHOUT LIMITING THE FOREGOING, ALL MATERIALS ON SELMAGIQUE.COM ARE PROVIDED “AS IS” WITHOUT WARRANTY OF ANY KIND, EITHER EXPRESSED OR IMPLIED, INCLUDING, BUT NOT LIMITED TO, THE IMPLIED WARRANTIES OF MERCHANTABILITY OR FITNESS FOR A PARTICULAR PURPOSE. Please note that the applicable jurisdiction may not allow the exclusion of implied warranties. Some of the above exclusions may thus not apply to you. Stay informed with all that’s Magique including exclusive offers, recipes, news and more.